he Investec Derby is the third Classic of the Flat Season and one of the oldest sporting events still on the calendar. In 2017, form and the betting markets were upset when 40/1 shot Wings Of Eagles came home in first place to give a sixth Derby win for trainer Aidan O’Brien. That unlikely success proved that shocks can happen, even on the flat, but in general, the short-odds horses tend to prevail so who are the favourites lined up for Derby success in 2018? Twelve months ago the betting was very tight but that isn’t the case this time around with Saxon Warrior an even money shot and outright market leader by some margin. Another entry for Aidan O’Brien and Coolmore, Saxon Warrior claimed the 2000 Guineas at the start of May to continue a fine start to a promising career. That victory at Newmarket was the horse’s fourth straight win in four outings and with O’Brien targeting a fifth Derby success in seven years and his seventh overall, Saxon Warrior is a worthy favourite. Saxon Warrior is so heavily backed in the early ante post betting that the second favourites, Nelson and The Pentagon, are some way behind at the 14/1 mark. The Pentagon is another horse from the O’Brien / Coolmore combination and is one of many runners sired by 2001 Derby winner Galileo. The Pentagon has plenty of support as one of the chasing pack and, at the time of writing, boasts a record of two wins from his opening five outings. Another horse attracting interest in the ante post betting is Nelson. Once again, this is a product of the O’Brien stable and it’s worth noting that Nelson won the Group 3 Ballysax Stakes in April, beating The Pentagon into third place. Another winner at the same Leopardstown meeting was Gustav Klimt who triumphed in a 2000 Guineas trial. That victory, on heavy ground, continued a fine run for Gustav Klimt of three straight wins but when he arrived at Newmarket in early may for the Guineas, a disappointing outcome has seen Aidan O’Brien’s charge drift in the betting for the Derby. A sixth placed finish, on good ground, saw interest in this Gustav Klimt horse wane among the betting community but current odds of 33/1 may well shorten again, particularly if the unpredictable English weather softens those good conditions on Derby Day itself. We’ve already mentioned that unlikely triumph by Wings of Eagles in 2017 but since the start of the new century, Derby winners have generally carried much shorter prices. Prior to last year, seven of our seventeen winners started as either favourites or joint favourites while the longest odds were the 7/1 supplied by Sindaar in 2000 and Rule the World in 2013. Saxon Warrior heads the betting by a huge margin which may well shorten further in the days leading up to the start of the race but based on overall results, the shorter options should be the ones to consider for Derby Day 2018. From an initial declaration of around 400 horses, each Epsom Derby will ultimately be cut down to include no more than twenty runners, and maybe less still. Many of the finest three year old horses will be in attendance so while that may seem like a small number, picking a winner isn’t the easiest of tasks. Wings Of Eagles surprised us all in 2017 by finishing first as a rank 40/1 shot so while we look for a Derby tip this time around, we’ll consider all possibilities, not just the hot favourites. In the lead up to the race itself, there are a number of events that are taken on board as key indicators when looking for Epsom Derby Tips. Among these is the 2000 Guineas at Newmarket, held in early May, and 2018’s winner has shot to the top of the Derby betting with a significant lead over the chasing pack. Aidan O’Brien’s Saxon Warrior won with some comfort at the most recent 2000 Guineas and quickly became an even money shot and the hottest of Derby Tips for 2018. This three year old has a stunning early record with four straight wins including that Guineas triumph and he also comes from the leading stable of recent years. Trainer O’Brien, along with owners Smith, Magnier and Tabor have been behind four of the last six Derby winners including 2017’s triumphant Wings of Eagles. Across the Irish Sea at Leopardstown, another O’Brien horse won an important Derby prelude. Gustav Klimt enjoyed success at the Ballylinch Stud 2000 Guineas trial back in April and quickly became one of the most touted Epsom Derby tips in the aftermath of that triumph. Gustav Klimt was therefore primed to impress further but a disappointing Guineas meeting at Newmarket saw him finish fourth among 14 runners and his price has drifted out to around 25/1 as a result. However, let’s not forget Wings of Eagles’ triumph in 2017. What’s more, horses aren’t robots and one bad run doesn’t mean we should cross a horse of our shortlist. Further key races will follow in the build up to the big race and many will look to the Dante Stakes as a further indicator for Epsom Derby betting tips but there are other horses who have already impressed without necessarily winning the specific renewals that we’ve mentioned. Aidan O’Brien and his Coolmore connections dominate the list of Epsom Derby betting tips for most punters and while there is some distance between Saxon Warrior and the second favourites, there is plenty of interest in The Pentagon and Rostropovich, who won the Dee Stakes. The Pentagon drifted after a slow performance in the Ballysax Stakes but at around 14/1, this still a strong Derby tip. Elsewhere, Nelson and Delano Roosevelt are two further horses O’Brien who are attracting interest from around the tipsters. With further Derby trials to come, many will wait before staking on a Derby winner but the early ante post market can often contain some value. Saxon Warrior is a worthy favourite while Rostropovich looks to be one of the better of the long shots among some decent challenges right through the field. Shocks can be rare in flat racing but across 238 years of the Epsom Derby, we have seen some high priced horses coming through to take the trophy. 100/1 Aboyeur holds the record for the longest odds winner while, at the end of the last century, 1998’s High Rise finished first past the post at a decent 20/1. From 2000 onwards, a number of single figure winners dominated the event but all that changed twelve months ago when the unfancied Wings Of Eagles came through to convert for Aidan O’Brien at a seemingly unlikely 40/1. There is value in the each way markets too as some lucky punters found out in 1989 when Terimon finished second to Nashwan at a whopping 500/1. But what about 2018; can any horse emerge from the list of rank outsiders to give us some top value? With less than a month to go until the race, Epsom Derby odds show a clear favourite with O’Brien’s Saxon Warrior at evens. With all other horses available at double figure odds, it could be said that the entire chasing pack could be considered as outside punts but which of those are most likely to put pressure on our market leader? There is plenty of early interest in The Pentagon, also trained by Aidan O’Brien and available to back at around the 14/1 mark. Back in August 2017, this horse was actually installed as favourite for the Derby after winning the Tyros Stakes at Leopardstown and that interest will be maintained among some areas of the betting community. Back in 2017, Wings of Eagles sprinted from the back of the field to win the race so we’re not discounting any horse currently declared in the Epsom Derby odds markets. Nelson and Masar currently carry a similar price to the Pentagon and both are being talked up in the countdown to the 2018 off. Nelson is another horse from the O’Brien / Coolmore yard who won at Leopardstown in April while Masar finished third in the 2000 Guineas for Charlie Appleby in May. All three challengers have odds at around the 14/1 mark but what if we move further back - can we find a likely horse in the current Epsom Derby odds at a similar price to 2017 winner Wings Of Eagles? Further back, the Godolphin entry Ghaiyyath won on two of his first three starts but at 20/1, isn’t quite in the realms of rank outsiders. There are, however, two potential winners from around that 40/1 mark and the first point in their favour is the fact that they both come from the highly successful Aidan O’Brien and his connections. Gustav Klimt was being widely talked about as a Derby winner at the start of the year but a disappointing sixth at Newmarket has seen his odds drift. Elsewhere, James Cook has a first, second and fourth in three outings to date so, like Wings Of Eagles in 2017, he could spring from the back of the Epsom Derby odds markets and provide a surprise winner for Aidan O’Brien. 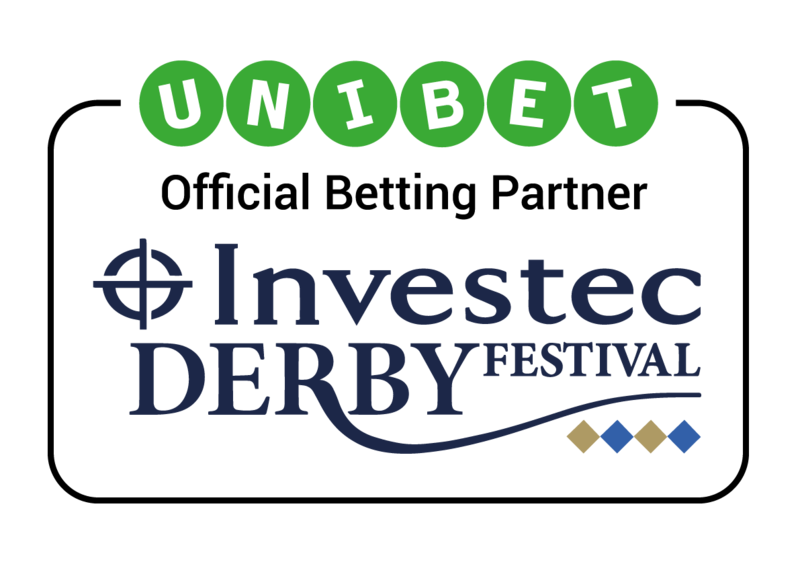 Check all the latest news updates for confirmed entries but, for long shots in this year’s Investec Derby betting, any of these horses could give you a run for your money.